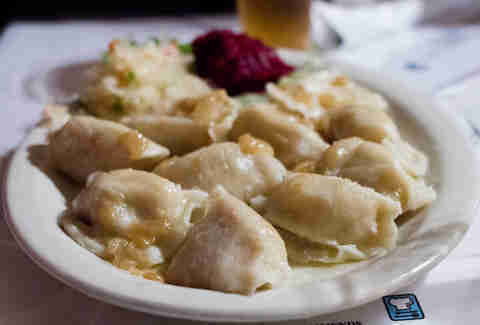 We’re not just working for the weekend, we’re working for Friday nights, when the Polish House -- a Polish community center -- opens its cash-only kitchen (and bar) to the public and lets them dig into a selection of dumplings called pierogi. 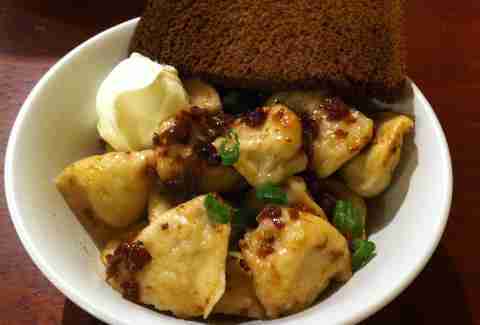 These pierogi easily climb to the top of the dumpling rankings by the grace of the bacon bits that’re all over them and the quick dip in sour cream they should take on the way to your mouth. Vietnamese dumplings are less common than their Chinese brethren, but no less good: the mung bean-stuffed pockets come in a spicy soy vinaigrette, sprinkled with caramelized shallots. The dumplings here are good, but what really makes this place a destination (for anything but a hot date) is the garlic dipping sauce that comes with every order. 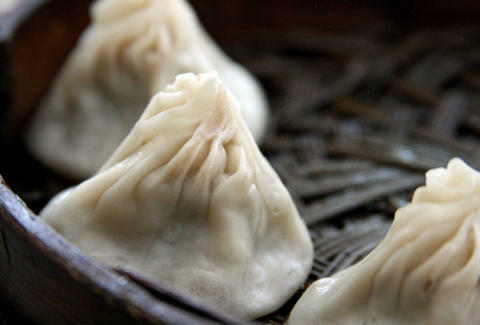 These dumplings are world famous... and recipients of a Michelin star in Hong Kong. 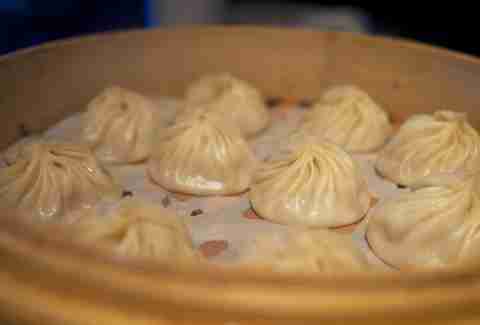 Renowned for their 18 delicate pleats, thin skin, and the rich mouthful of soup cradled inside, Din Tai Fung’s soup dumplings are considered the standard bearer of this difficult-to-make specialty. 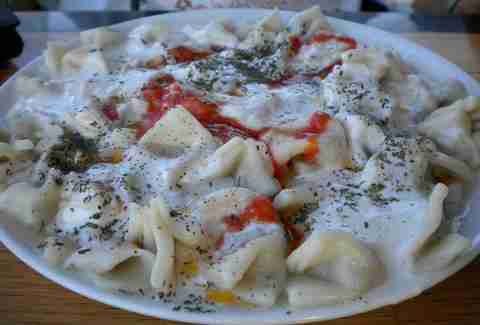 Like Turkey itself, these Turkish dumplings straddle the border between Europe and Asia: ravioli-like dumplings are drenched in a garlicky yogurt sauce, then crowned with melted butter, red pepper, and mint. 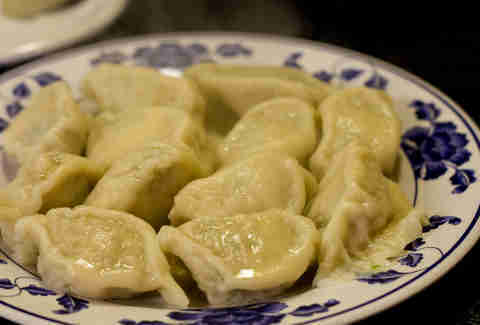 You know what one of the biggest problems with dumplings is in this town? They’re kind of hard to find at 2 in the morning. Except here. Where they serve meat stuffed in dough (and covered in your choice of spicy sauce, cheese, or bacon-onion relish) until the wee hours of the morning. 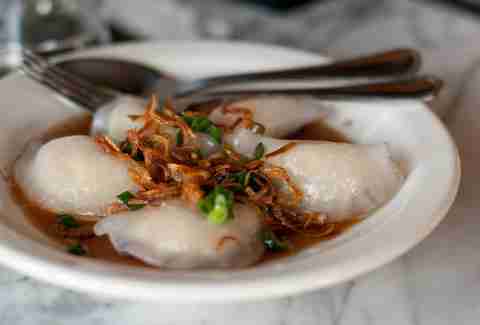 Tender, soft, Northern Chinese dumplings are the specialty at this hole-in-the-wall... oh, and if the fish dumplings are on special, snap those up in a heartbeat. Lucky for you, even if they’re not, Ping’s keeps freezers full of all the best dumplings in the adjacent mini-mart for you to take home and make yourself. 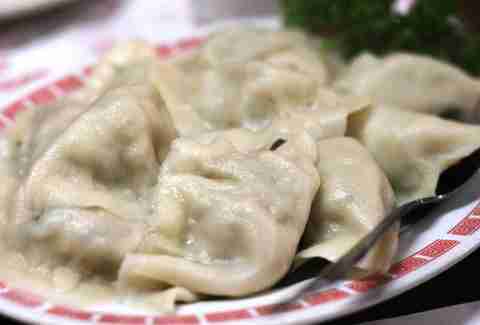 Looking for an entire meal made of dumplings? That’s what dim sum is for. 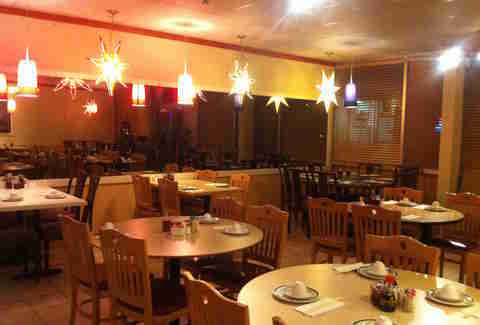 And to get the best in town, check out this Lynnwood strip-mall spot, where a former Las Vegas chef has set up shop, and is serving a wide variety of fresh, high-quality dumplings. 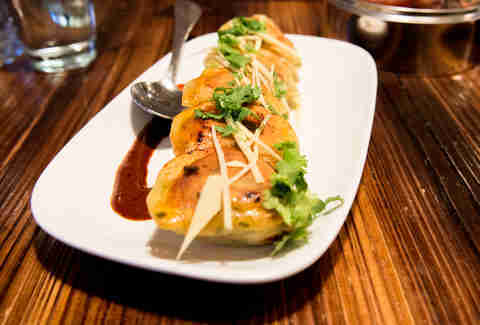 The dumplings at this Korean-inspired spot don’t exactly match any traditional dumpling: they’re not Korean mandoo nor Chinese jiao zi. 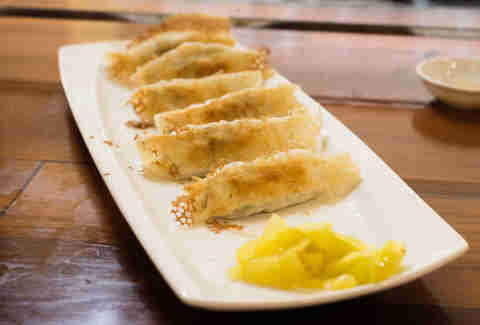 They do match good taste though, with rich, beefy short ribs stuffed into thick dough shells and pan-fried until the flat sides are crisp and dark. The pickled shallots and scallions on top cut through the hefty flavors and make it worth the slight extra wait time for these. A quick way to tell you’ve come to the right place for dumplings? Someone sitting at the back table, making them by hand while you’re contemplating which beer to order with them. 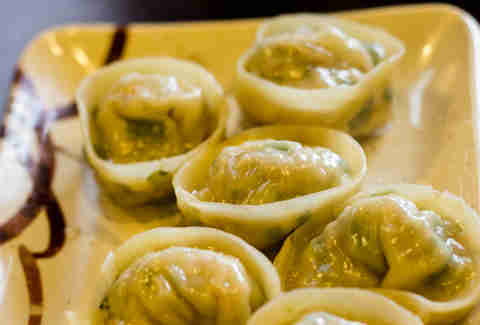 We suggest going with the classic Korean Hite while you wait for your plateful of these tortellini-shaped Korean dumplings. Naomi Tomky is a Seattle-based food writer who hates it when you call her dumpling, but loves it when you follow her on Twitter: @gastrognome.